A Dundalk man was found guilty Thursday in district court of stealing Maryland state park passes and waterfowl hunting stamps, and selling them online. Charles Edward Ruddlesden Jr., 22, was sentenced to 90 days in the Baltimore County Detention Center and was ordered to pay $150 in restitution to the state. In 2016, Maryland Natural Resources Police learned that Ruddlesden was selling then-current Maryland State Park and Trail Passports at discounted prices of $20 each or three for $50. The passes, which provide unlimited day-use admission to Maryland state parks for a calendar year, retail for $75 for Maryland residents and $100 for out-of-state residents. An investigator arranged to meet Ruddlesden to buy five passes for $80. After the transaction, officers arrested Ruddlesden and found two additional passes in his pants pocket. He also had three Maryland Migratory Game Bird Stamps, each valued at $9. An inventory conducted at the Maryland Department of Natural Resources service center in Baltimore County determined that 30 passes and 11 stamps were missing. The remaining stolen passes and stamps were not recovered. A Garrett County man was charged with first-degree assault Tuesday in connection with an altercation at New Germany State Park. 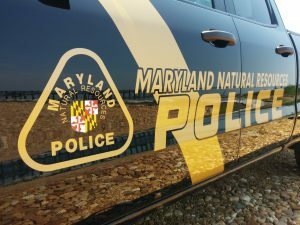 At 8 p.m. June 3, Natural Resources Police officers and Maryland State Police troopers were called to the park’s campground for a report of a loud argument. Chad William Campbell, 38, of Oakland, was accused of brandishing a fixed-blade knife at a woman camper. Nearby campers intervened until officers arrived. Campbell was charged following an investigation. 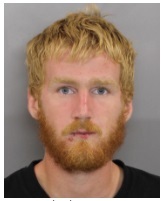 He was released from the Garrett County Detention Center on $10,000 bond. A temporary restraining order was issued Wednesday with a hearing scheduled for June 14. Three Virginia men were charged Wednesday on multiple counts of running unlicensed tree businesses. Acting on citizen complaints, an officer contacted Green Yard Tree Removal and Joshua’s Landscaping Tree Service. Both claimed to be licensed by the Maryland Forest Service and both stated that they were insured. Posing as a customer, the officer set up meetings with the two firms in Frederick County, Maryland. When the men arrived, they were charged. James R. Thompson, 40, of Culpepper, Virginia, was charged with operating a business in Maryland without a license plus five other charges related to operating a tree expert business without a license. In addition, Thompson was arrested and received a traffic citation for driving on a revoked license. Victor Fernando Cordova, 39, of Woodbridge, Virginia, and Luis Enrique Cordova, 42, of Culpepper, Virginia each were charged with operating a business in Maryland without a license plus five other charges related to operating a tree expert business without a license. A hearing date in Frederick County District Court has not been set. The department reminds residents in need of tree care services to only work with a state-licensed tree expert. Businesses without a license may not practice or advertise tree care services in the state. Officers on surveillance at the Kent Narrows pier in Queen Anne’s County charged a Prince George’s County man with taking striped bass from a prohibited area. Jorge Luis Lazarte Barrientos, 29, of Hyattsville was cited on for keeping seven fish and hiding them in his vehicle’s trunk. He is scheduled to appear in Queen Anne’s County District Court Aug. 3. If found guilty, he could be fined as much as $1,000.